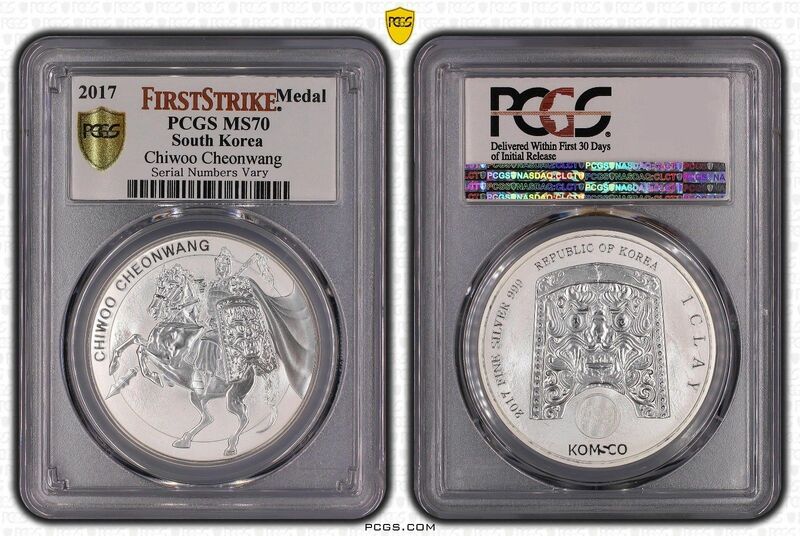 The massive popularity of South Koreas Chiwoo Cheonwang Series since its 2016 debut has pushed KOMSCO to expand the collection attract even more numismatists. Following sellouts of the Silver Chiwoo designs in previous years, the official mint of the Republic of Korea now issues the beautiful 2017 design in a new weight. 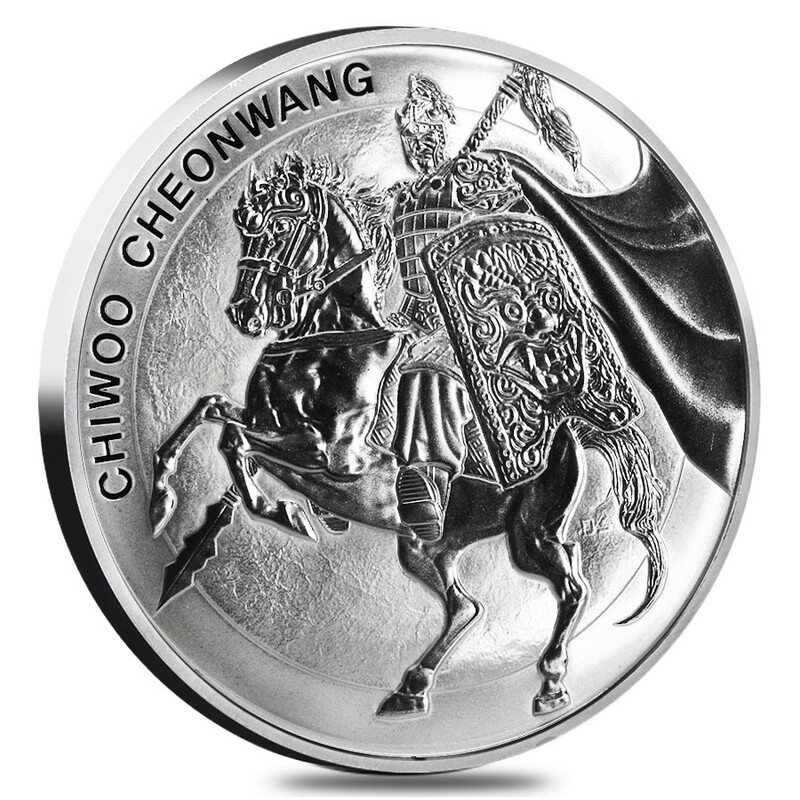 The 2017 1/2 oz South Korean Silver Chiwoo Cheonwang coin is available from TODAY., LTD. Arrives in protective plastic, or tubes of 25! 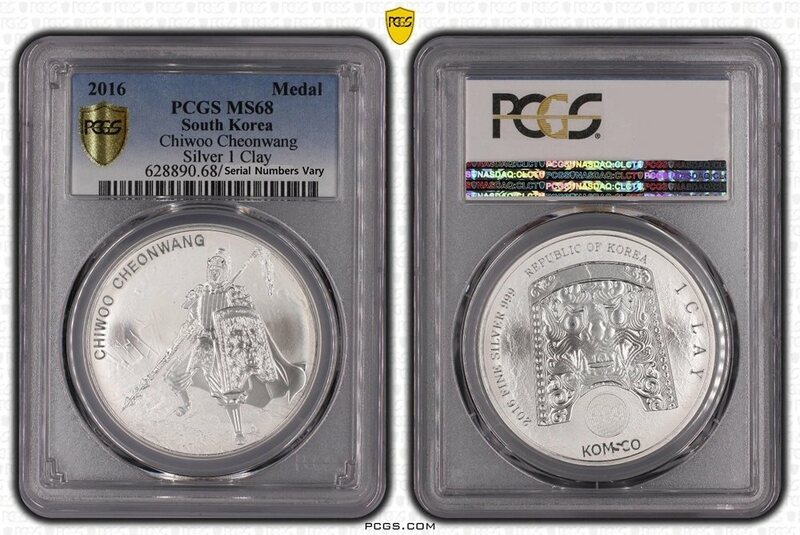 1st-ever issue of the Chiwoo Cheonwang in 1/2 oz of silver! Contains 1/2 Troy oz of .999 pure silver in BU condition. Issued a value of 1/2 Clay. Obverse face of the coin includes Do ggae bi. Reverse includes the armored figure of Chiwoo Cheonwang. 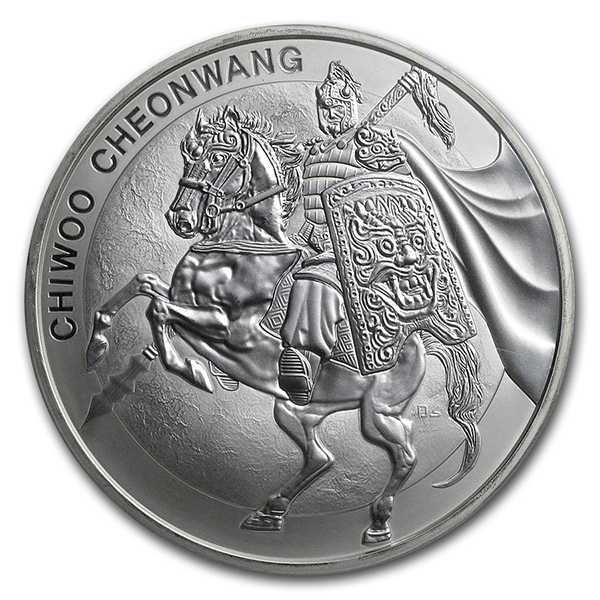 The Chiwoo Cheonwang coins debuted from KOMSCO in 2016 with a 1 oz silver option. The series currently includes 1 oz silver and 1 oz gold options, and the continued popularity of the coins with their evolving reverse designs led to the introduction of these 1/2 oz silver coins. With a limited mintage of just 10,000 coins, these are sure to sell out quickly! 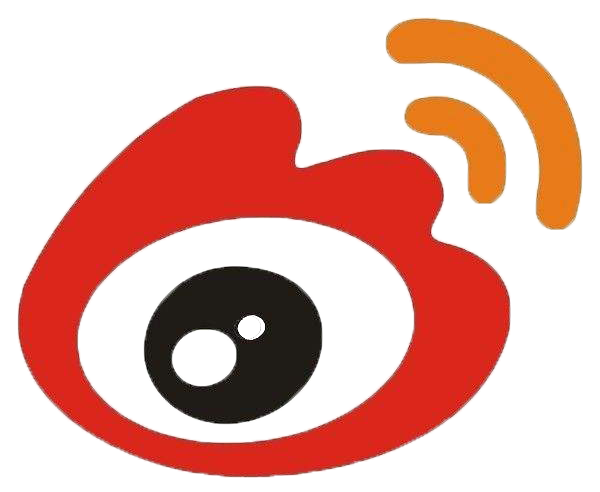 Modern Koreans know Chiwoo Cheonwang as the mascot of the Red Devils, the rabid fan base supporting the Republic of Koreas national soccer team. People believe his powers helped propel the team to a semifinal appearance at World Cup 2002 in South Korea/Japan. In ancient Korean mythology though, Chiwoo is said to have been the 14thhead of the state of Shinshi, the first of Koreas ancient states. On the reverse side of the 2017 1/2 oz South Korean Silver Chiwoo Cheonwang is the new design of Chiwoo for 2017. This figure of Chiwoo is shown in full battle armor and riding upon his warhorse. Chiwoo was a feared battlefield general and wore a devilish mask in battle to terrify enemy forces. 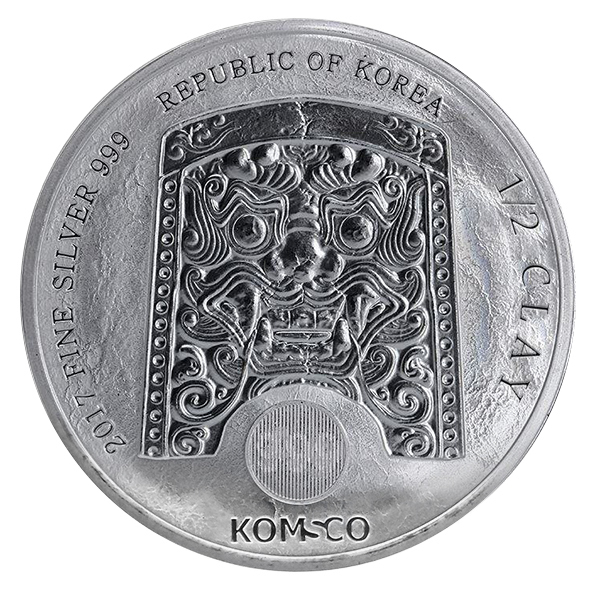 The obverse face of 2017 South Korean Silver Chiwoo Cheonwangs uses a common design each year. The figure here is known as Do ggae bi, a supernatural being credited with powers of warding off evil spirits. The history behind this figure dates to the 7th-century dynasty known as the Silla Dynasty and was used as a roof tile. All 2017 1/2 oz South Korean Silver Chiwoo Cheonwang Coins have latent security features on the reverse. 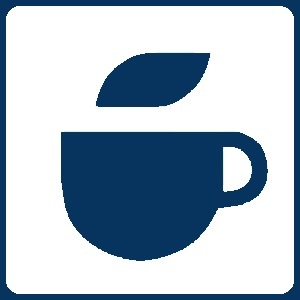 A small circle with the coins 999 purity is included on every product in this series from KOMSCO.